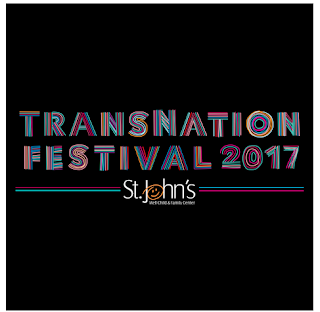 St. John’s Well Child and Family Center, creator of the Trans Health Program, one of the largest transgender health programs in the country, is announcing the second annual TransNation Festival. This week-long event in honor of transgender artistic and cultural achievements includes a film festival running October 13-15 at The Cinefamily (611 N. Fairfax) in West Hollywood and Eleganza, a celebratory affair on Saturday, October 21 at the Cicada Club (617 S. Olive Street) in downtown Los Angeles. Early bird tickets for both events will go on sale August 29. There will also be numerous Trans Health Program community events throughout the week at St. John’s clinics in Los Angeles. The second annual TransNation Film Festival is a three-day event guest-hosted by Zackary Drucker (Drucker is Emmy-nominated producer for the docu-series This Is Me, co-producer on Golden Globe and Emmy-winning Transparent, and cast member on the E! docu-series I Am Cait), featuring an eclectic program of works by emerging and established filmmakers and rare and underseen repertory gems and classics that reflect the trans experience. Noted filmmakers, actors, and special guests will present works, along with special tributes, receptions, and industry panels at West Hollywood’s cutting-edge independent theater The Cinefamily. Eleganza, a celebratory affair honoring the trans community through music, fashion, and entertainment will close the TransNation Festival on Saturday, October 21 at the Cicada Club in downtown Los Angeles. Last year’s event was hosted by Candis Cayne and attended by Caitlyn Jenner and Kelly Osbourne. The night will kick off with a VIP reception and red carpet greeting for celebrity guests and presenters, as well as trailblazers in the trans community. The party will include performances and entertainment throughout the evening, including a set by a notable DJ. WHY: Proceeds from the event will benefit St. John’s Well Child and Family Center’s Transgender Health Program, which is an independent 501(c)3 community health center that serves one of the largest populations of transgender patients in the country with primary medical, dental, and behavioral health care, as well as support for the community’s unique socio-economic, legal, and advocacy needs.